Just before the start of this week’s London Yacht, Jet & Prestige Car Show (running from 8 – 10 April), SuperYacht Company has unveiled the most definitive statistics on the 2014 superyacht new-construction market. 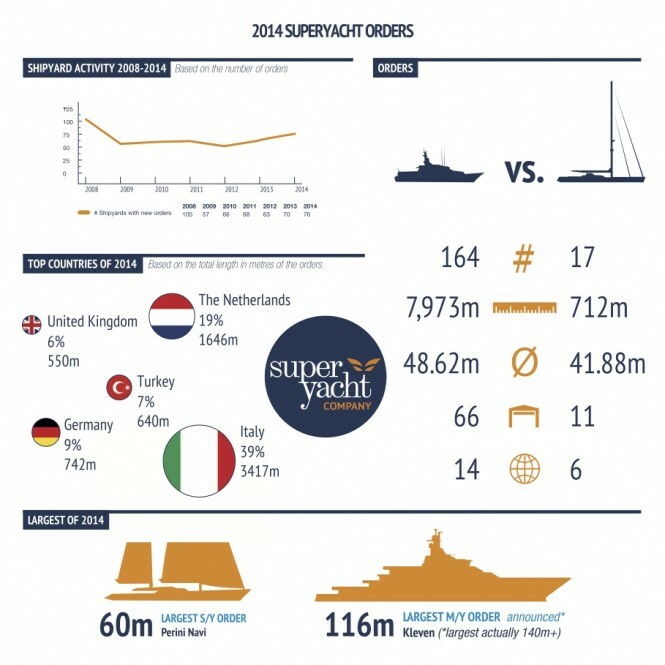 In 2014 shipyards worldwide delivered 156 superyachts over 30 metres, with a length totalling 6,769 metres. Compared to the 159 deliveries in 2013, this is a decrease of 2%. This drop is a direct result of the fact that nearly all of the yachts delivered in 2014 were sold during the financial crisis. The largest yacht delivered in 2014 was the 140 metre Fincantieri (Italy) mega yacht Ocean Victory. 76 Different shipyards in 20 different countries built these 156 superyachts. The market leader was Benetti with 13 deliveries, followed by Sunseeker and Sanlorenzo, both with 11 superyachts. In terms of countries, Italy is the biggest builder of superyachts with a market share of 40%, followed by the Netherlands with a market share of 10%. The total value of all motor and sailing yachts over 30 metres completed in 2014 was approximately € 3.8 billion with an average value of € 24.4 million per superyacht. The average value of motor yachts above 30 metres was considerably higher than the sailing yachts above 30 metres, approximately € 25.8 million versus € 13 million for sailing yachts. 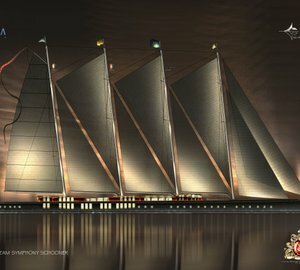 While the number of superyachts delivered was slightly down, there has been an increase of 21.2% for new projects. Between January and December 2014, 181 new projects for yachts over 30 metres were recorded; representing an increase of 13.8% compared to 2013’s 159 new projects. The total length of all new projects is 8,685 metres – 3,700 metres more than 2010 and 1,519 metres more than in 2013. The average size per new project was 48 metres which, compared to 2013 (45.1 metres), is an increase of almost 3 metres. 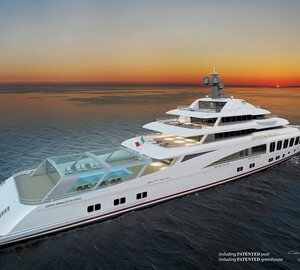 The largest project announced to the public was the 116-metre expedition superyacht under construction at Kleven in Norway, however we are aware of a new confidential project over 140 metres. In 2014 shipyards worldwide delivered 156 superyachts over 30 metres, with a length totalling 6,769 metres. Compared to the 179 superyachts delivered in 2012, this is a decrease of more than 12%, and compared to the 159 deliveries in 2013 this is a decrease of 2%. This drop in deliveries is a direct result of the fact that nearly all of the yachts delivered in 2014 were sold during the financial crisis. Of the 156 deliveries in 2014, there were 139 motor yachts, accounting for 89% of total deliveries and 17 sailing yachts were delivered, accounting for 11%. These 139 motor yachts had a total length of 6,027 metres, with sailing yachts totalling 741 metres. The average size of a motor yacht remained nearly the same as in 2013 at 43.36 metres. Interestingly the average length of a sailing yacht has grown again in 2014 by 2.08 metres to 43.62 metres. In 2013 the average length of a sailing yacht had already grown by 2.50 metres to 41.54 metres, compared to 39.04 metres in 2012. With a number of very large sailing yachts under construction such as the 106 metre Oceanco mega yacht Solar project and the 147 metre mega yacht A, this figure is set to rise over the next few years. The largest yacht delivered in 2014 was the 140 metre Fincantieri (Italy) Ocean Victory. The largest sailing yacht delivered in 2014 was the 65 metre superyacht Lamima, which was built by Italthai Marine in Thailand. Average length of new projects has increased with nearly 3 metres to 48 metres. The amount of new projects per year, which includes new orders placed by clients and yachts of which the construction has started on speculation, is one of the most significant numbers in the superyacht industry. New projects are not only vital for shipyards but for countless businesses in the superyacht industry, ranging from suppliers to designers, and from subcontractors to the media. Between January and December 2014, SuperYacht Company recorded 181 new projects for yachts over 30 metres; this number represents an increase of 13.8% compared to 2013, when there were 159 new projects. 2014 saw 164 new motor yacht (90.6%) projects, and 14 new sailing yacht (9.4%) projects. The total length of all new projects is 8,685 metres – 3,700 metres more than 2010 and 1,519 metres more than in 2013. The average size per contract was 48 metres which, compared to 2013 (45.1 metres), is an increase of almost 3 metres. The largest project announced to the public was the 116 metre expedition superyacht under construction at Kleven in Norway, however we are aware of a new confidential project over 140 metres. 76 shipyards from 20 countries delivered 156 superyachts; Benetti largest producer of superyachts in 2014; 76 shipyards in 16 countries have 181 new projects; Most new superyachts in Italy, 79 new projects for 28 yards. The 156 superyachts delivered in 2014 were built by 76 different shipyards, which is the lowest number of shipyards in nine years. Compared to 2013 (79) this is a decrease of 6.2% and compared to 2012 (98 shipyards) this means a decrease of 22.4%. In 2014 the Italian shipyard Benetti was the market leader for the construction of yachts over 30 metres. The shipyard completed 13 superyachts with a total length of 567 metres. The superyachts delivered in 2014 were built in 20 different countries. Looking at the countries where these 156 superyachts were built, Italy is market leader with 40%, which equates to 63 superyachts built by 20 different shipyards. The Netherlands was the second biggest superyacht builder in 2014 with a market share of 10% and 16 new superyachts. The United Kingdom with 15 deliveries totalling 572 metres comes in third, followed closely by the United States with 14 superyachts totalling 553 metres. For confidentiality reasons we cannot divulge details in regards to the number of new projects per shipyard, therefore we have analysed the number of new projects per country. 76 Shipyards in 16 different countries have 181 new projects. Italy is market leader with 79 new projects with a total length of 3,417 metres at 28 shipyards. 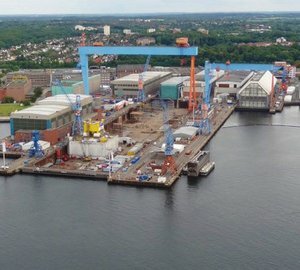 The Dutch shipyards come second with 27 new projects at 11 shipyards, and a total length of 1,646 metres. 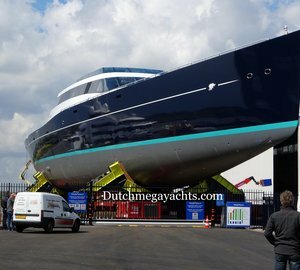 With an average length of nearly 61 metres, the Dutch projects are considerably larger than the Italian projects, however the largest superyachts are being built in Germany with an average length over 100 metres. 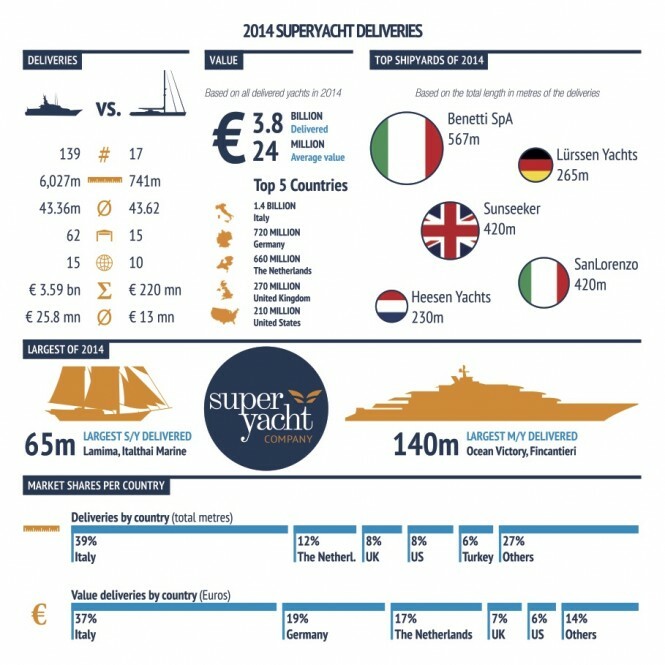 The value of all superyachts delivered in 2014 is estimated at € 3.8 billion. The total value of all motor and sailing yachts over 30 metres completed in 2014 was approximately € 3.8 billion with an average value of € 24.4 million per superyacht. The average value of motor yachts above 30 metres was considerably higher than the sailing yachts above 30 metres, approximately € 25.8 million versus € 13 million for sailing yachts. This figure can be partly explained by the primary fact that motor yachts have a higher volume than sailing yachts. Italian yards have produced superyachts with a total value of approximately € 1.4 billion, which equals to a market share of 36.8% in value. The second place was for Germany (approximately € 720 million) and third was the Netherlands (approximately € 660 million). Please contact CharterWorld - the luxury yacht charter specialist - for more on superyacht news item "Superyacht Industry 2014 Review".